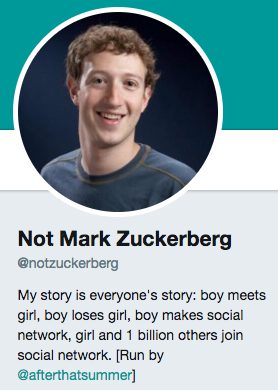 What is a Twitter Bio? A Twitter bio is a small public summary about yourself or your business displayed under your Twitter profile picture. 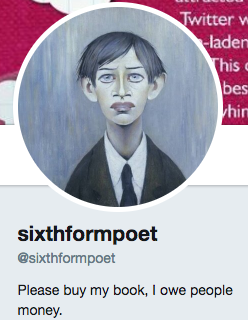 Unsurprisingly, a Twitter bio is equally challenging. You mean to tell me that I have 160 characters (thanks for the extra 20?) to explain to the Twittersphere who I am, what I do, and why my Twitter is worth following? 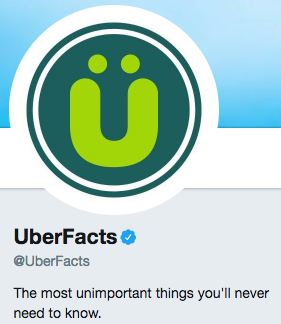 It might not seem like a big deal, but keep this in mind: Your bio is one the main things people use to decide whether or not to follow you on Twitter -- so what you write in your Twitter bio needs to count. Today, we’re taking a moment to highlight some of the most amusing and entertaining bios we could find. 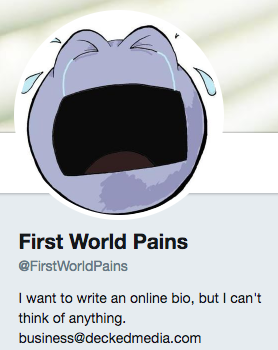 We’ve scoured far and wide and am proud to present to you with 28 of the funniest bios -- from real people, beloved brands, and fictitious characters that pepper the Twittersphere. Comedian and writer Mike Trainor makes my inner seven-year-old want to ask him to pull my finger. 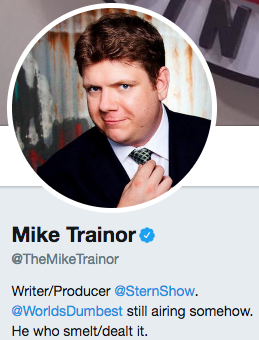 Also, imagining Mr. Trainor saying, “He who smelt it,” while looking as dapper as he does in his profile picture is a little slice of added amusement. 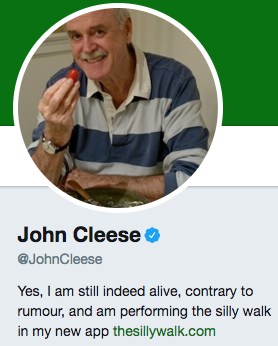 Plus, we can't help but love this bio's self-deprecation, in its allusion to the fact that one of his shows is "still airing somehow." Berserk llama syndrome is a real condition where a llama believes its human owner is also a llama, causing the animal to become aggressive. I [verb describing feelings of having a strong liking for] this. 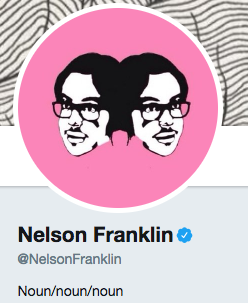 American actor Nelson Franklin gets us. We’ve seen enough “Actor/Entertainer/Jazz Pianist” Twitter bios -- seriously. 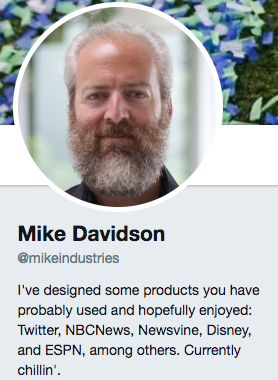 Mike Davidson, former VP of Design at Twitter, is a connoisseur of sorts -- and while he has an impressive background, we do enjoy his present credential of, "Currently chillin'." Some people aim to save neglected pets. Jamie Amacher aims to save neglected houseplants. Buffalo, NY resident (and coworker of mine at Mainstreethost), Amacher knows the importance of keeping plants alive indoors -- especially since, here in the Northeast U.S., we don’t get to see much plant life outside during winter. Harry Potter fans, rejoice -- or cower in fear. 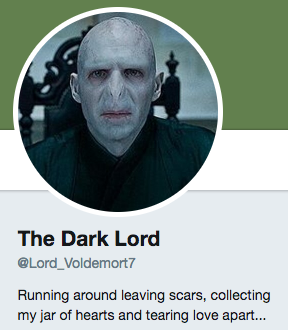 He-Who-Must-Not-Be-Named has a Twitter, and he's not afraid to share his truth -- in the form of a clever use of Christina Perri lyrics. 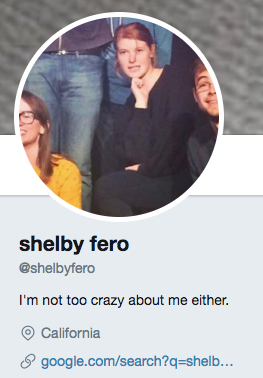 As we mentioned above, we always appreciate a bit of tasteful self-deprecating humor, and Shelby Fero gives us just that in her Twitter bio. Though, according to HiTFiX (and her impressive Twitter following of 122k), it seems that people are crazy about her -- at the very least, on Twitter. 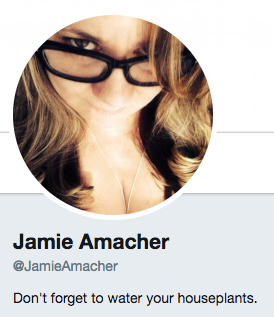 And, if you’re curious about her work, she’s also conveniently included a link to Google search her instead of providing a website. 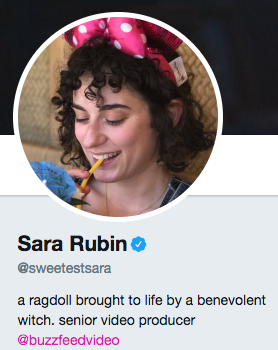 Sara Rubin is a video producer at BuzzFeed. You can thank her in part for many of the fantastic BuzzFeed videos you see circulating around social media and love are obsessed with. If you’ve seen any of the videos in which she’s, you know she’s an overall lovable and whimsical character -- not to mention, hilariously awkward and anxious, like a good handful of us. 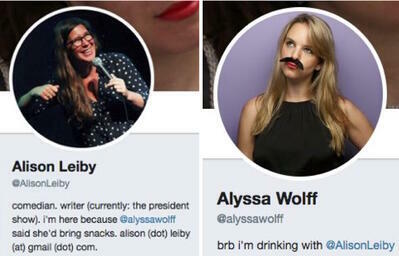 In a similar fashion, writers Alison Leiby and Alyssa Wolff have obviously made a BFF pact to dedicate their Twitter bios to one another. Again -- we approve. 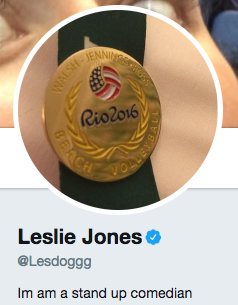 What do we love about comedian Leslie Jones' Twitter bio? It's simple and to the point. Plus, we can't help but snicker at the humor in its simplicity -- she lets us know about her line of work, without any jokes. That's okay; luckily, her on-screen work and actual tweets provide plenty of hilarious fodder. For many of us, Shonda Rhimes is a legend -- and our Thursday nights would be so much less interesting without her. 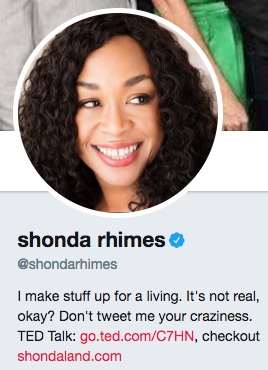 She's the writer behind such hit shows as "Grey's Anatomy" and "Scandal," and yes: People love to tweet their plotline opinions to her. She stops that madness with a concise, funny quip in her bio: "It's not real, okay?" Yes, Ms. Rhimes. That assumption is backed up by TIME, as her feed was named one of The 140 Best Twitter Feeds of 2014. 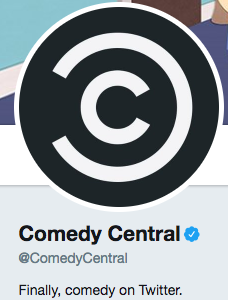 Out of about 328 million monthly active users on Twitter, that ain’t too shabby - she’s definitely considered a comedian in this culture, if I had to guess. Charmin, as we know, sells toilet paper. We’re all adults here, and we all know what it's used for. 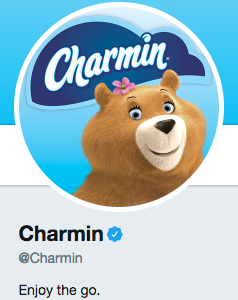 Charmin’s Twitter bio is entertaining because, considering its industry, the brand gets the awkwardness out of the way immediately, letting us all know that, hey, quality toilet paper is a good thing ... and a good bathroom trip -- or, "the go," as it's called here -- should be enjoyed. Plus, who doesn't enjoy a good, TP-related riddle? Q: Why can't you hear a pterodactyl go to the bathroom? A: Because the "P" is silent! 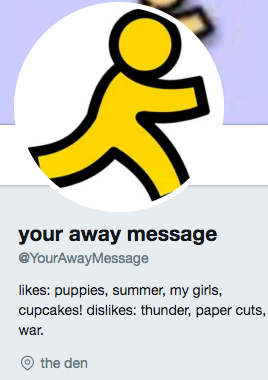 Are we the only ones who remember the days of AOL Instant Messenger, a.k.a., AIM? Think back, if you can, to a time before Slack, Twitter, and even Facebook -- and maybe, just maybe, it'll all come back to you. 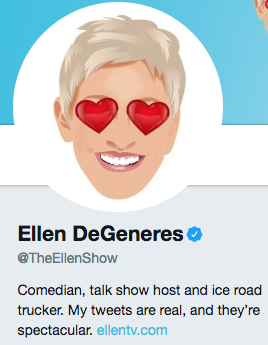 Ellen DeGeneres entertains us on social media, television, real life, etc. She’s just plain amusing. 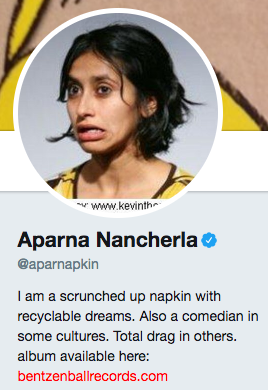 So it should come as no surprise that her actual bio on Twitter is pretty darn amusing. 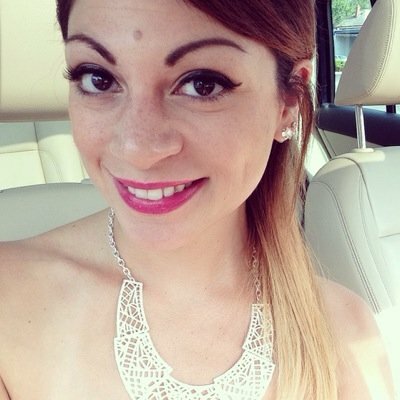 According to her bio, she has a second job as an ice road trucker -- hmm -- and her tweets are both real, and spectacular. Well, she’s not lying about her tweets. After all, see below. So, what does that tell us about her second job? We buy it. 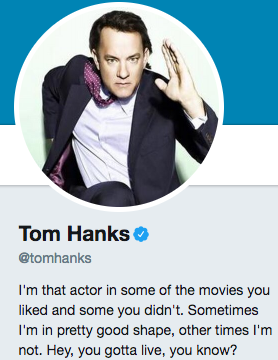 Fame didn’t get to Tom Hanks’ head. He’s a normal person, just like you and I, having issues with fluctuating weight. Sometimes, he gains people's approval -- and other times, not so much. To that, we say, "Tweet on, Tom." 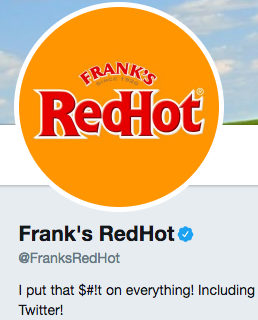 If you’re as big a fan of Frank’s RedHot as we are, then you know how easy it to actually but that -- ahem -- [stuff] on everything. Of course, as marketers, we agree that the brand might as well put it on Twitter, too. 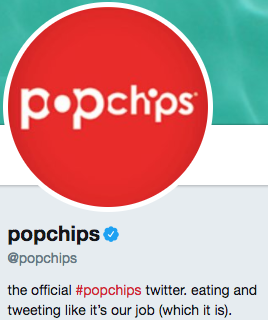 We wish eating popchips was in our job descriptions -- since, when they’re around, we certainly eat them like it's part of our collective responsibilities. 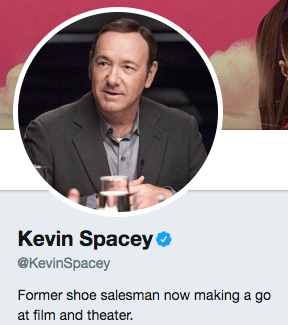 It's true -- exercising humor while also tweeting as a responsible business is often a fine line to walk. 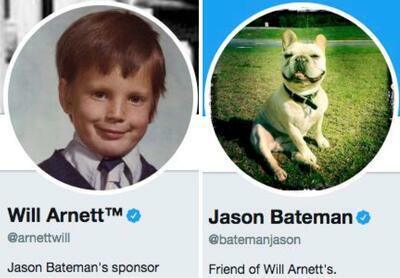 But as these examples show, it's possible to be both self-deprecating and funny on social media, as long as it aligns with your brand. And, as always, we'll continue bringing you the latest news and tactics in conquering social media. Picking a Twitter Username? Don't Use Numbers or Underscores.